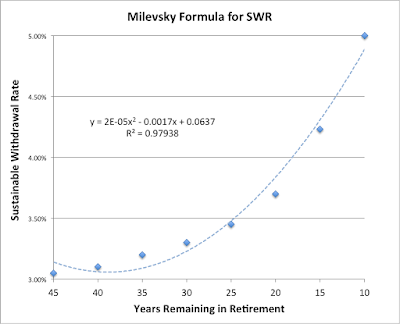 In my last post, The Risk of Retiring (or Being Retired) Early, I provided some thoughts about the risk of retiring early and perhaps extending what would already have been a long and expensive retirement. A second risk of retiring early is that we will stop saving for retirement sooner. As the savings, or “accumulation", phase of retirement progresses, the contribution of new savings to our net worth becomes progressively smaller as the contribution from existing portfolio growth increases. Consider the following three graphs. 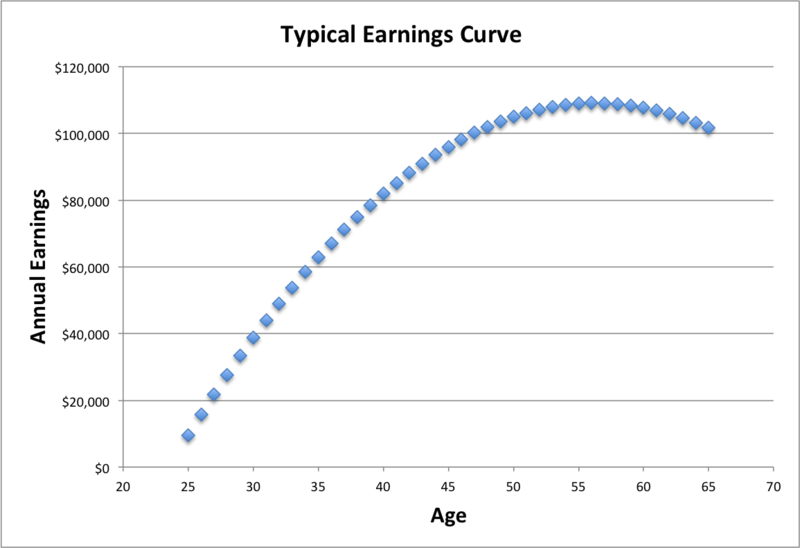 First, our earnings tend to grow from the beginning of our careers, peak in our mid-fifties and then decline a bit each year until we retire. 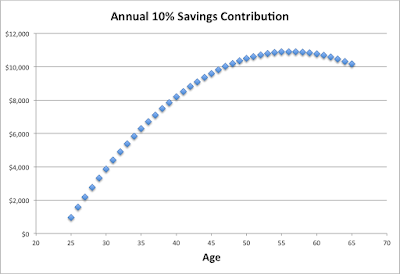 Assuming a retiree saves 10% of earnings annually until retirement, annual savings contributions would look like the following curve. 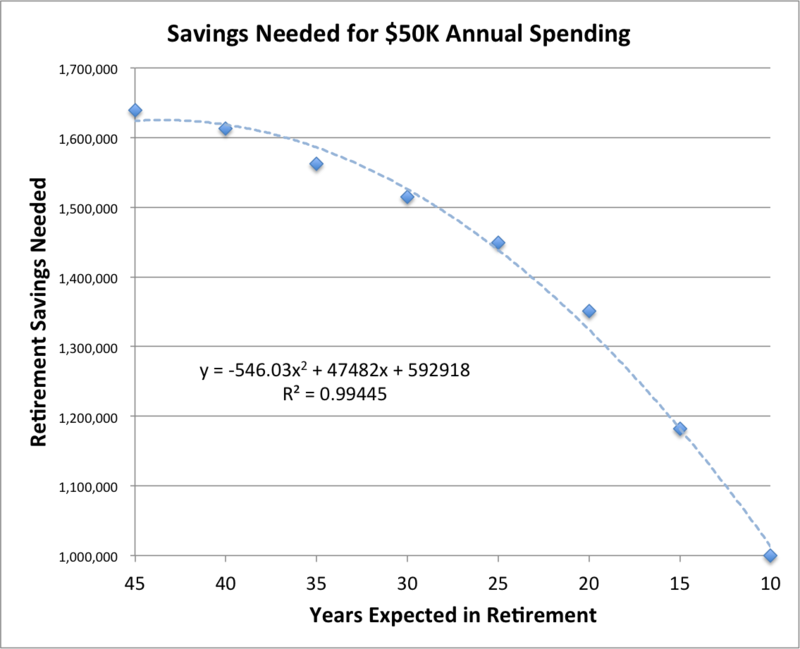 Note that by retiring early, we stop saving when our annual contributions are near their peak around age 55 to 60. On the plus side, we're robbing our own savings at a time when their potential compounded growth is relatively low because they have fewer years left to grow than did our early-career savings. Assuming this retiree earned a consistent 7% rate of return on her portfolio, the contribution at each age to her portfolio value from new savings is shown below in red and the contribution from investment returns on previous savings contributions is shown in blue. The graph above shows that if we retire early and stop saving at age 60, for example, the value of the lost savings is probably a lot smaller than the return we will continue to receive on our portfolio, but the loss can still be substantial. If this person retired at age 70, he would save $1,832,840. 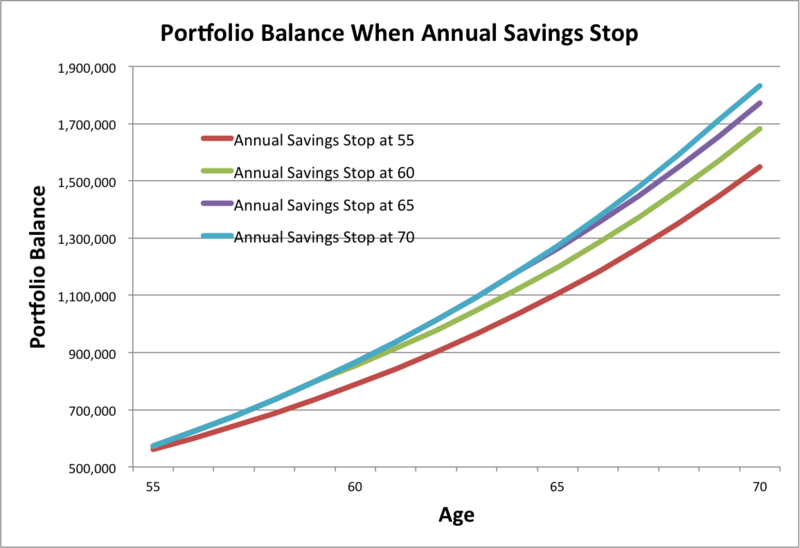 Stopping annual savings at age 65 would reduce the portfolio balance by 3.3%. 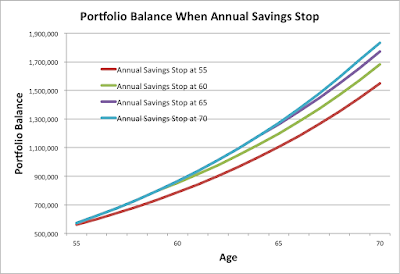 Stopping savings contributions at age 60 would reduce it by 8.3% and stopping at age 55 would reduce the portfolio balance by 15.5%. Reducing the size of your retirement savings portfolio balance reduces sustainable retirement spending by the same percentage. Reduce your portfolio balance by 3.3% and you reduce your sustainable spending amount from your risky portfolio by 3.3% annually. 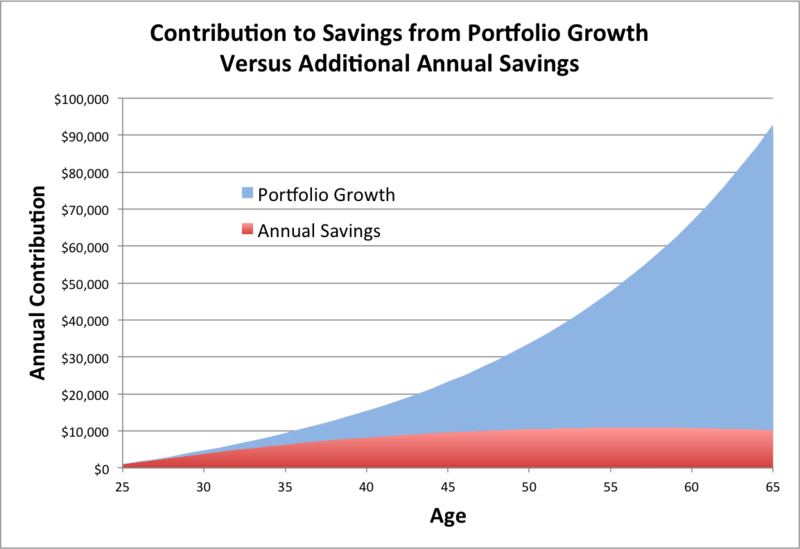 Note again that reducing savings by retiring early has a significant impact on a retiree's finances, but that most portfolio growth late in our careers comes from market returns on our accumulated savings and not new savings contributions. On its own, losing a few years of savings contributions is tolerable. The problem is the two-edged sword created by stopping additional annual savings early and beginning portfolio withdrawals early. I'll look at the latter next time. In the meantime, Wade Pfau is holding a free retirement planning webinar on Wednesday, July 1st at 5:00 pm ET. You can sign up for it here. I’m going to briefly depart from my typical retirement finance post to talk about ID theft and retirees, who are frequent targets of this crime. A few weeks ago, the IRS informed me that someone had filed a federal tax return for last year in my name and claimed a tax refund. In my case, the fraud have been discovered and IRS had not yet paid the bogus refund, as they apparently have for several hundred thousand or so other fraudulent filings. My real tax refund, tiny though it was, arrived unimpeded a few days later. The way the scam basically works is that the criminal gathers enough of your personal financial data to electronically file a 1040-EZ and claim a tax return. The IRS is working with the electronic tax return filing industry to put better safeguards in place. My wife freaked out when she heard. I didn’t. The difference was in our expectations. “Some criminal has our Social Security number!” she pleaded. “True,” I replied, “but it’s safe to assume that it’s been out there for quite a while." News stories appear almost daily about massive security breaches. This one at the IRS. A few weeks ago it was the bank that issued my credit card. Target’s database was compromised by criminals gaining access through their HVAC service company. There’s a really good chance that your financial data has also been compromised and, at any rate, it’s safest to assume that it has been. If ID thieves had rubbed a magic lamp in the mid-twentieth century and had been offered one wish, it would have been "tie every individual American's sensitive financial information to their Social Security number forever." Unfortunately for the rest of us, they didn't need a lamp. A website called Information is Beautiful justifies its claim by organizing a history of major breaches in this fabulous display. See any merchants or websites there that you have used? This brings up an important point. We worry that someone will access our home computers, tablets or smart phones and steal our financial data. While that is possible, it’s a lot easier to get our financial data by stealing millions at a time from Target than it is to sit around a coffee shop waiting for someone to log onto their bank account. The latter is actually a lot easier to protect against, and why pick up crumbs when the entire delicious cake is right there for the taking? While the IRS works on ways to prevent fraudulent returns, there are some steps that retirees (or anyone, really) can take to secure their credit. I placed a freeze on credit reports at the three credit agencies, Experian, Trans Union and Equifax. Now, no one can use these agencies to approve loans or open new credit accounts in my name or my wife’s without my knowledge. The cost of placing, removing and replacing a credit freeze varies by state law, but there are exceptions for free credit freezes for seniors, minors, documented ID theft victims, etc. The Federal Trade Commission explains how to place a freeze here. Be sure to freeze the credit of both spouses! There are valid considerations for not freezing your credit, as explained in this post by Consumer Reports. If you take out new car loans or apply for credit cards, you will need to remove the freeze and that can take several days. As the Consumer Reports article mentions, it may be easiest to find out which credit agency your car dealer uses and temporarily lift the freeze at only that agency for only that dealer (or a few). My household's days of applying for new credit cards is long past and unfreezing my credit a few days before I buy a car every few years isn’t a burden compared to the peace of mind the freeze brings. And if having to unfreeze credit a few days before buying a car stops one of my relatives (you know who you are) from continuing to trade cars on impulse so he or she can later wallow in buyer's remorse, all the better. Freezing our accounts included the unexpected opportunity to request that the agencies never again allow my credit history to be accessed by someone offering pre-authorized credit cards. This should cut by junk mail problem in half. Another possible solution is to use an “Identity Theft Protection Plan” like the ones reviewed in this Huffington Post article entitled, "Do Identity Theft Protection Services Work?" Most are not free, although when major breaches occur like the one at Target, the breached company frequently offers a year of such a service free to their customers who may have been exposed. To make my point, I currently have three such services monitoring my credit paid for by three different companies that "may" have offered up my personal credit information to hackers. A credit freeze protects us from thieves opening new accounts but it doesn’t protect existing accounts. ID Theft services supposedly cover both. Fortunately, most credit cards and debit cards don’t hold us responsible for fraud if we report it in a timely manner. Debit cards, however, can handle the response to fraud claims in a less convenient manner than credit cards. 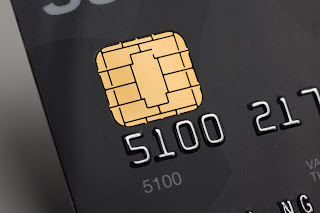 The conversion of American credit cards to chip-and-pin technology is largely underway and offers a higher level of credit card fraud protection that has been available for a decade or more in Europe and Asia. 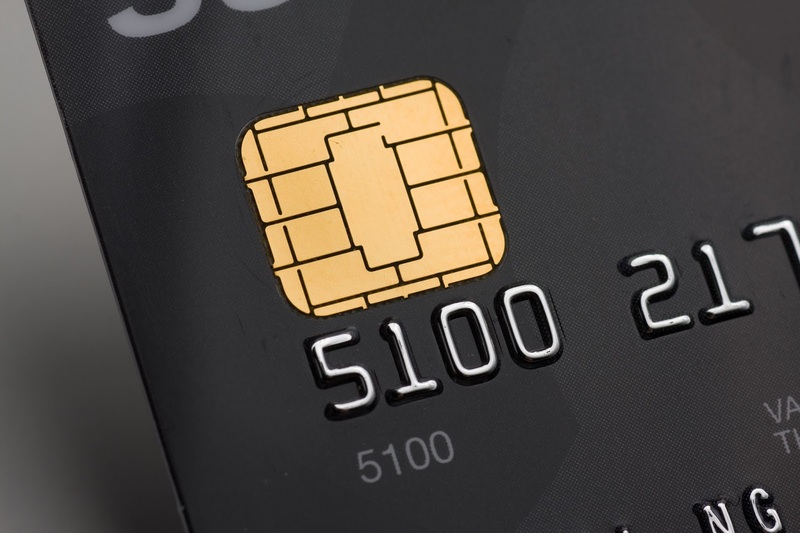 You may already have a card or two with the embedded computer chip. Now, we have to wait for a zillion American merchants to convert to chip-and-pin readers and systems that actually use the chip. Then, as a side benefit, when we travel to Europe, we won't have to look like someone out of the 1980's whipping out a stack of traveler's checks. My recommendation to retirees, given the likelihood of fewer new credit accounts to be opened, is to implement a credit freeze at all three major credit agencies. Again, instructions on how to do so can be found here. For younger households that need more frequent access to credit reports, a credit freeze may be more burdensome, but possibly worth the extra effort. And, of course, take advantage of your free annual credit report and review it carefully. To avoid free credit report website offers with strings attached, use the official one promoted by the FTC. It's free, as in free. And lastly, I recommend that you assume your private and sensitive financial information has already been hacked. Even if it hasn’t been, you’re safer assuming that is has. Check out my next post, "Have You Already Been Hacked?" 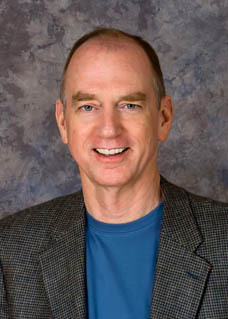 The writer suggested that his research into the topic showed that the answer, more often than not, is "don't do it." That's probably correct, "more often than not", but maybe a better way to say it is that retiring early is probably riskier than most people realize. It is also a major factor in determining a sustainable withdrawal rate. When you retire early, you add more years of retirement expenses and, as a result, you add more financial risk. You have to spend a smaller percentage of your retirement savings portfolio annually to mitigate that risk. Second, retiring early ends savings contributions when they will typically be greatest. Third, retiring early means drawing down savings until Social Security benefits or pension income kicks in. This places additional stress on savings early in retirement that increases the risk of outliving your savings. Let's look at longevity and sustainable withdrawal rates first. Longevity risk is the risk that a retired household will outlive their retirement savings. The major factors contributing to longevity risk are how long retirement lasts, how much we spend each year of retirement and how aggressively we invest. We predict how long retirement might last using life expectancy calculations at our retirement age. We can predict a median life expectancy, and we can also calculate the probability that we will live to some advanced age, such as 95 or 100. A 65-year old American male retiring today, for example, has a median life expectancy of 83 years (86 for a female) and a 6% chance of living to age 95 (13% for a female). A retiree who decides to retire early increases the risk of a long, costly retirement. The 60-year old male in this example has a 6% chance of surviving a retirement of 30 years or more. Deciding to retire five years early at age 60, however, creates a 6% chance of a 35-year retirement and more than triples the risk of a 30-year retirement from 6% to 19%. Retiring early has an obvious upside. A retiree who doesn’t live long after retiring will enjoy a longer retirement by doing so. The longevity risk of early retirement is that the retiree might turn what would have been a long and expensive retirement into one that is even longer and more expensive. Turning a 5-year retirement into a 10-year retirement by retiring five years early probably won't cause problems, because the retiree should have planned for an even longer retirement. But, turning a 30-year retirement into a 35-year retirement just might. Of course, the retiree has no way of knowing how long retirement is actually going to last. The table below shows the cost of retirement to age 95 with spending of $80,000 annually and discounted at a rate of 2% per year. 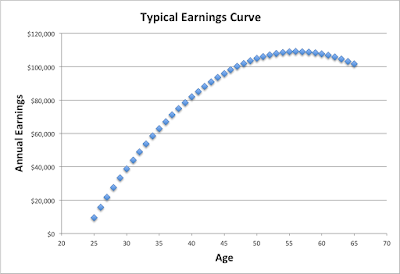 Column three shows the percent increase of the cost incurred by retiring 5 years earlier than the previous row's retirement age and column 5 shows the probability that an American male retiring at that age would survive to age 95 or beyond. For example, retiring at age 65 would cost 14.7% more than retiring at age 70 and retiring at age 60 would cost 11.6% more than postponing retirement to age 65, assuming both retirees survive to age 95. The table above shows near-worst case cost, a retirement to age 95. For comparison, the table below shows similar costs assuming the retiree lives to the median life expectancy for a U.S. male at that retirement age in 2015. For example, retiring at age 60 would cost 16.7% more than postponing retirement until age 65, assuming the person lived to his median life expectancy at the retirement age. Notice that the costs of retirement are lower than in the previous table because expected years in retirement is smaller, but the percent increase in cost from earlier retirement is greater. The chart below shows the probability of a retiree experiencing a long and costly retirement as a function of retirement age. 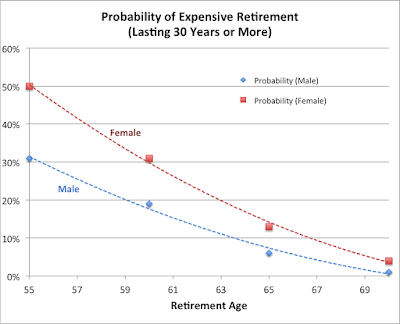 For example, an American male retiring at age 60 has about a 19% chance of a retirement lasting 30 years or more, but that probability for the same person retiring at age 65 is only about 6%. That means that target retirement savings decay quadratically as the length of retirement becomes shorter. An American male retiring at age 60 has a life expectancy of about 22 years and can spend about 3.6% of his retirement savings portfolio annually. Retiring at 70, he has a life expectancy of about 14 more years and can spend about 4.3% of savings annually, about 20% more. 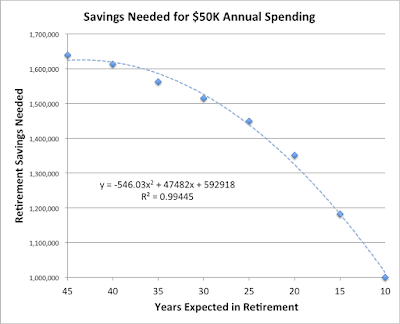 To support $50,000 annual spending from savings, the retiree at age 60 would need to save about $1.39M, while the retiree at 70 would need to save $1.163M, or 16% less. So, those are the first couple of challenges with retiring early, whether voluntary or not. You risk adding years to a retirement that you couldn't have known in advance was going to be a long, expensive one and with that increased longevity risk, you need to save more before retirement or spend less after. 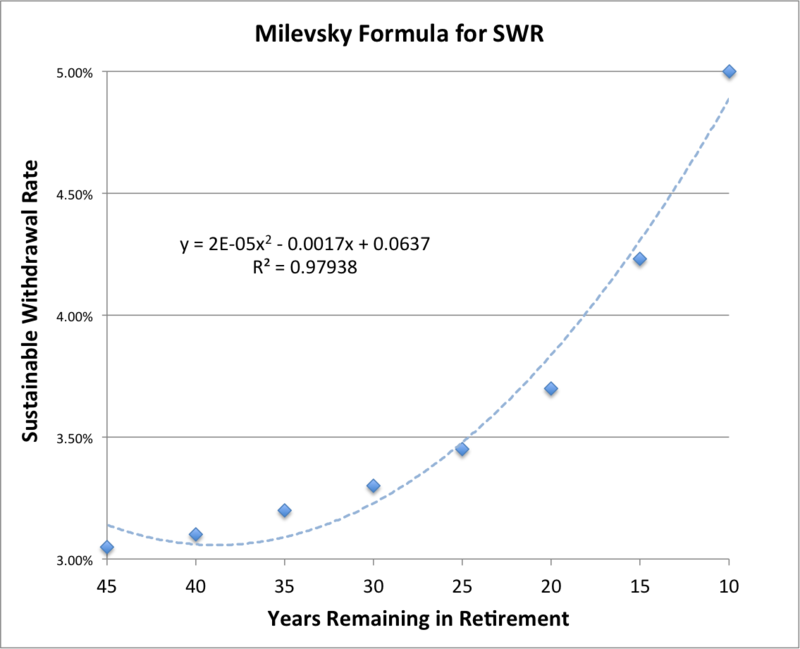 Expected retirement costs more because it lasts longer, but also because it is riskier. This is a consideration for fortunate workers who have a realistic option of retiring early, but it is a severe penalty for workers who have not adequately saved and find themselves leaving the workforce before they had planned. For workers between these two extremes, this demonstrates the value of working even a few extra years. Next, I'll look at the second factor, Retiring Early: Lost Savings.